UPDATE: Prints of this are available via the Shop Disney Parks App! I recently finished this large piece on wood for the Art of Disney gallery. Look for the original and hopefully prints in the Disney galleries soon. 11.6.14 : The original will be available for purchase the evening of Nov.14th at the gallery. I will be appearing and signing prints of this piece and others I’ll have at the event. Stop by and say hi! 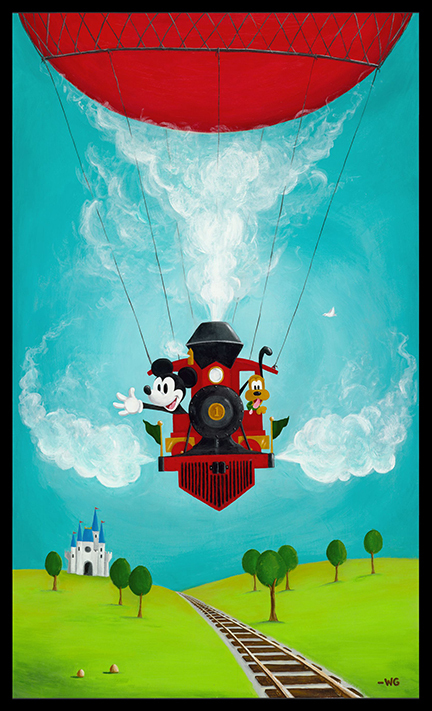 Nov. 14th 6-8pm and Nov. 15th 4-6pm at the Art of Disney gallery at Downtown Disney in Florida.